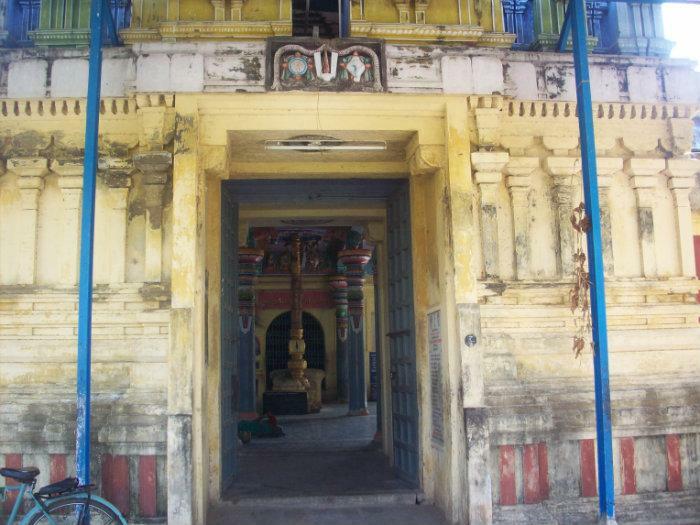 Sri vaigundha nathan Perumal temple is one of the Divya Desams, the 108 temples of Vishnu Believed to have been visited by the 1 poet saints or Alwars. 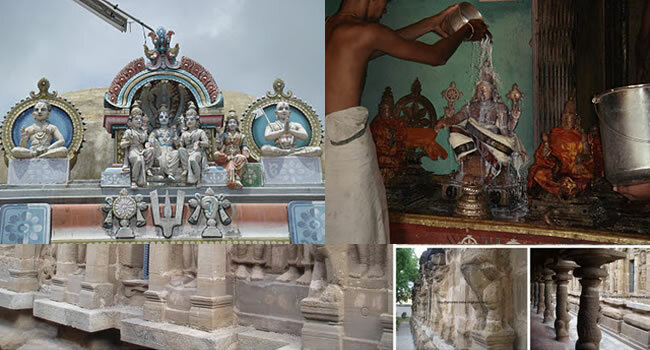 Thiruvaikunda vinnagaram or Vaikunta Nathan Perumal Temple is dedicated to Hindu god Vishnu located in Thirunangur, a village in the outskirts of Sirkazhi in the South Indian state of Tamil Nadu. Constructed in the Dravidian style of architecture, the temple is glorified in the Divya Prabandha, the early medieval Tamil canon of the Azhwarsaints from the 6th to 9th centuries AD. It is one of the 108 Divyadesam dedicated to Vishnu, who is worshipped as Vaikuntanathan and his consort Lakshmi as Vaikuntavalli.It is one among the eleven divyadesams of Thirunangur Tirupathis and is closely associated with Thirumangai Alvar. The temple is open from 8 a.m. to 10 a.m. and 5 p.m. to 7 p.m and has four daily rituals at various times of the day. This Temple is located at Thiru VaiKunda Vinnagaram in Tanjore district. Sri Vaigundha nathan Perumal temple is vast an inspiring edifice.The main Deity of sri vaigundha nathan Perumal Temple is The Moolavar Sri Vaikunda Nathan The Thaayar Vaikunda Valli. In this place Udhanga Maharishi and king Uparisaravasu got the dharsan of the Lord as he is in Vaigunda Loga.So, the pious river Viraja which is considered to run across the border of Vaikunda loga is the theertham here. It's true that god is one. But different relegion preech different paths to attain god. But finally it will take to the ultimate god only. So to indicate this the Vimaanam here is Anantha sathya Varthaka Vimaanam. To attain Vaikunda is to attain life without rebirth, and the perumal of this Kshetram would bless one if we offer our trueselt. Sri Vaigundha Nathan Perumal Temple is Located at Thiru VaiKunda Vinnagaram in Tanjore,Tamilnadu.Sri Vaikundanatha Perumal Temple is a Hindu Temple dedicated to Lord Vishnu. This Temple is also Known as Kailasapuram and has in Nataraja shrine, 8 artistically carved pillars.The Presiding deity of this Temple is is Sri Vaikunda Nathan. Other name of the Perumal is Thamarai Kannudaya Piraan. 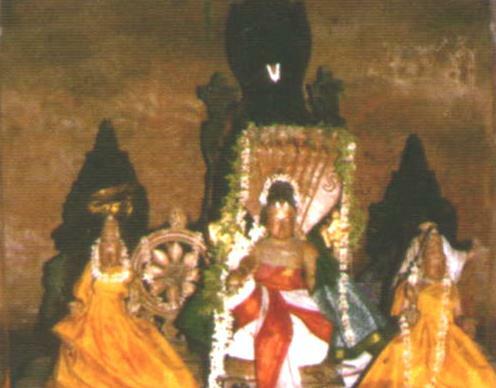 The Moolavar is in the Irundha (Sitting) Thirukkolam facing his thirumugham towards east direction. Prathyaksham for King Uparisaravasu and Udhanga Maharishi.The Thaayar of this sthalam is Vaikunda Valli. Periya Piratti and Bhoomi Piratti are found along with Moolavar and Utsavar. 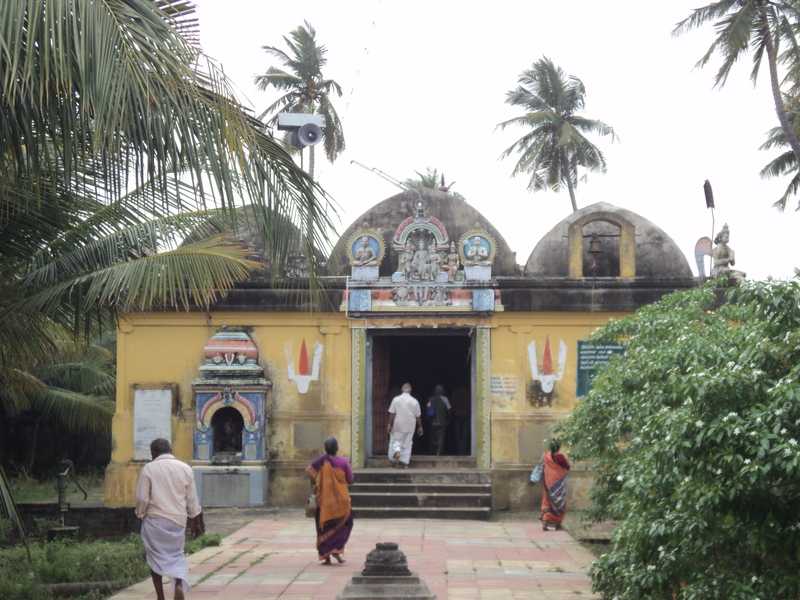 Sri Deyva Nayaga Perumal Temple, Cuddalore , Tamil..